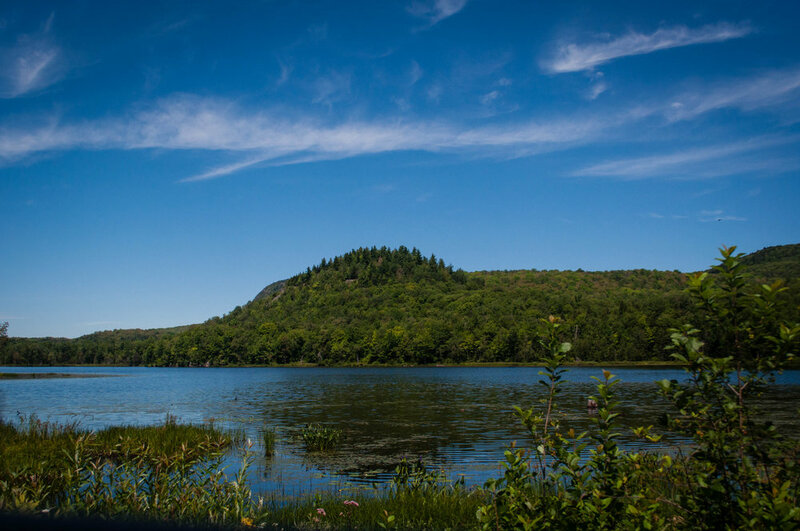 Mont Orford is just 1h30 drive from Montreal and its located in the Eastern Townships, a few minutes away from the popular town of Magog. I often feel like summer in Quebec goes by in a blink of an eye, especially this year that we had crappy weather. To make sure we are making the most of the sunshine, we decided to do a day trip to Mont Orford from Montreal. The mountain is very popular in the winter for its sky resort. The mountain is part of the SEPAQ, the provincial parks and has different activities to enjoy. In the summer there is camping, beaches, hiking and bike trails, to name a few. The entrance for the day to the park is $8.50 per person but you have to add a parking fee of $8. Sadly, we found that the signalling for the parking was poor, we had to drive all the way to the camping to then come back to the parking designated for the hiking. We took the 3 étangs (pond) loop hiking trail since it was the shortest and the easiest one. To our disappointment, the ponds were not as beautiful as expected but we did enjoy our walk-in nature. Apparently, the trails L’Étang-Fer-De-Lance or Le Pékan are more enjoyable since the panoramic views are prettier as discovered after. Maybe next time we will take these trails. You can check the complete list of trails with its difficulty level here. In the surroundings of the mountain, you have a very small village with some restaurants that cater to the hungry explorer that comes back from the mountain. You can find the complete list of restaurants and other activities, such as farms, in the area here. As I was searching for activities on our day trip, I was happy to find that there is a winery, Au Vignoble d'Orford , only 5 minutes away from the entrance of the park. I wrote to winery asking if we could do a visit and tasting, and at 3 pm we were visiting this charming winery. The location is very beautiful. You can see the mountains and the lakes in the background. It is certainly one of the most panoramic wineries we have visited. Au Vignoble d'Orford has only been in business for almost ten years so they yet have to fully collect the fruits of their labour, as it takes years to achieve good wine quality. Since it's still fairly recent, they are still in the artisan stage. They only produce enough wine to sell in their store and they still put the label by hand. As explained in the tour, the vines are “rustic”, meaning that they do not have the “noble vines”. 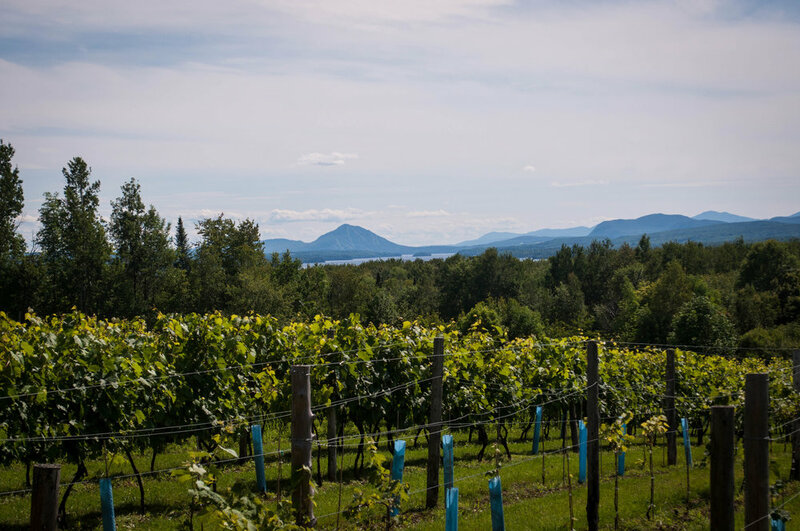 The rustic vines are local types that can survive our extreme winters so there are Frontenac and Sabrevois instead of Cabernet Sauvignon, a noble vine, for example. The tour goes into more depth about the type of cultivation that they do and the particularities of the location which creates a micro-climate due to the mountain which was very insightful & interesting. After all this explanation, you can go and quench your thirst with the tasting.